A call for human rights to be respected globally was made on Monday by UN Secretary General-elect Antonio Guterres, during a visit to Beijing. China’s leadership has overseen a sweeping crackdown on activists since President Xi Jinping took power, including detaining or imprisoning dozens of rights lawyers in what the government says is the targeting of criminal acts. Speaking to reporters with Chinese Foreign Minister Wang Yi by his side, Guterres, without specifically mentioning China, said what was needed was a United Nations that abides by its principles. “In a world torn by war, a United Nations able to enhance diplomacy for peace,” he said. China often clashes with UN bodies and envoys over the issue of human rights, and was angered last month when the UN human rights chief spoke at an award ceremony for a prominent Chinese academic jailed for life two years ago. 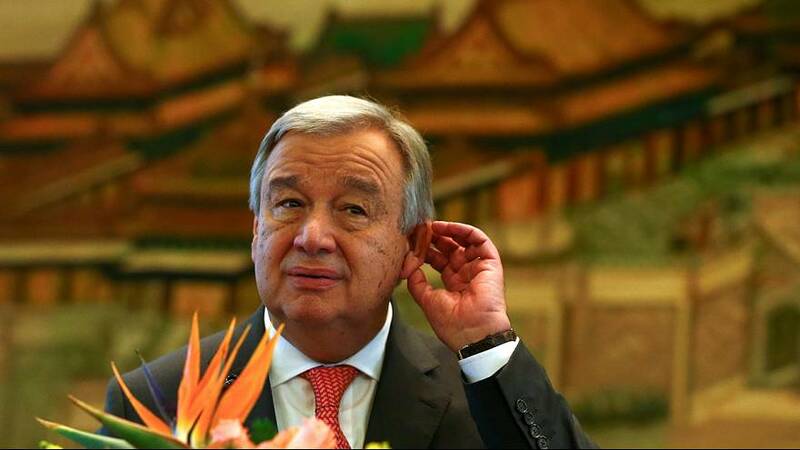 A former Portuguese prime minister and UN refugee chief, Guterres praised China’s role in UN peacekeeping missions and in diplomacy. “China can be a very important honest broker, trying to bring together some that are involved in conflict,” he said. Guterres becomes Secretary General on January 1, replacing South Korean Ban Ki-moon, 72, who is stepping down after two terms.